With world leaders meeting later this year in Paris to confront climate change at COP21, Elyx thought it prudent to accept an invitation to see the environmental effects of global warming. The UN digital ambassador visited Langjökull, “the long glacier”, Iceland’s 2nd largest glacier and one of the biggest in Europe. But due to global warming the glacier is melting quite fast and scientists believe that it will have disappeared completely by the end of the century. 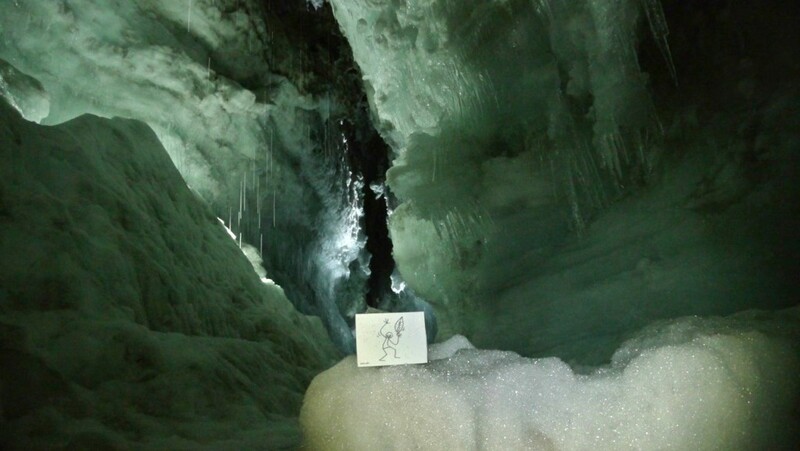 A 1,200 m long tunnel has been dug into the glacier and Elyx used the opportunity to have his photos taken inside the glacier. Elyx gets a tour inside the Langjökull glacier, the second biggest glacier in Iceland (Photo Credit: United Nations/UNRIC Brussels). 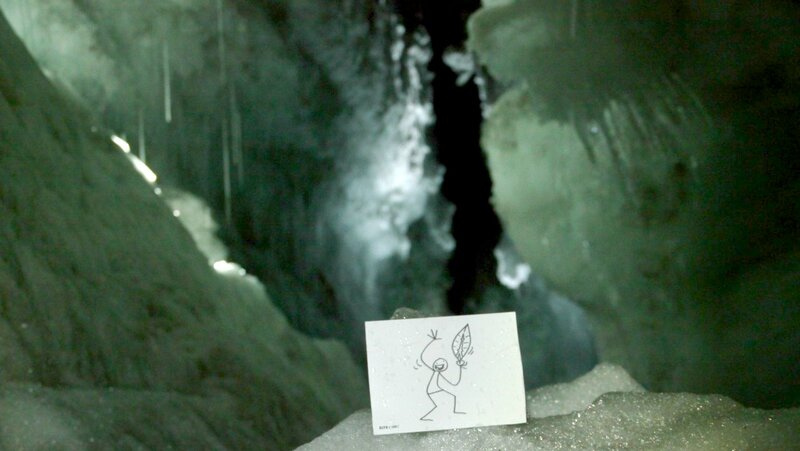 Elyx learned from researchers showing it around that more than 10% of Iceland is covered by glaciers and that ‘the Land of Fire and Ice’ also has numerous volcanoes. The glaciers are melting rapidly because of warming temperatures, which countries can do something about if they work together. Seeing this, Elyx understands better why a global summit is needed, and soon! Elyx is also saddened to learn that not only this will result in the almost complete disappearance of glaciers over the next 150-200 years. According to researchers, this will also provoke an intensification of volcanic eruptions, with devastating effects. Tough as much of this news is to hear, Elyx knows that if people can work together there is no challenge that can’t be overcome. 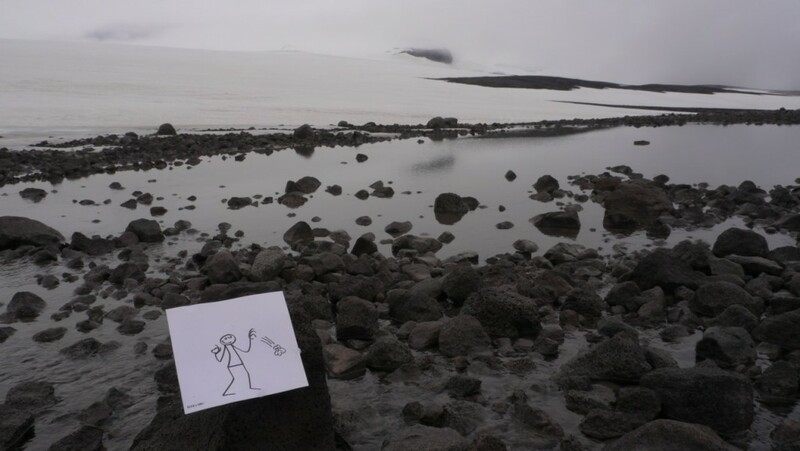 Outside the Langjökull glacier, Elyx tosses some stones (Photo Credit: United Nations/UNRIC Brussels). Elyx also learns that the ‘fiery’ side of Iceland has its benefits too as it provides great access to geothermal power, an environmentally friendly and sustainable form of energy. In fact, Elyx learned that the United Nations University (UNU) is hosting a course taught by Icelandic experts and attended by scientists and engineers from all over the world. Relying more and more on this source of energy would be an important step in the fight against climate change. 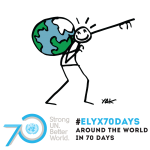 Elyx is happy to learn that Iceland’s greenhouse gas emissions account for only 0.01% of global emissions. 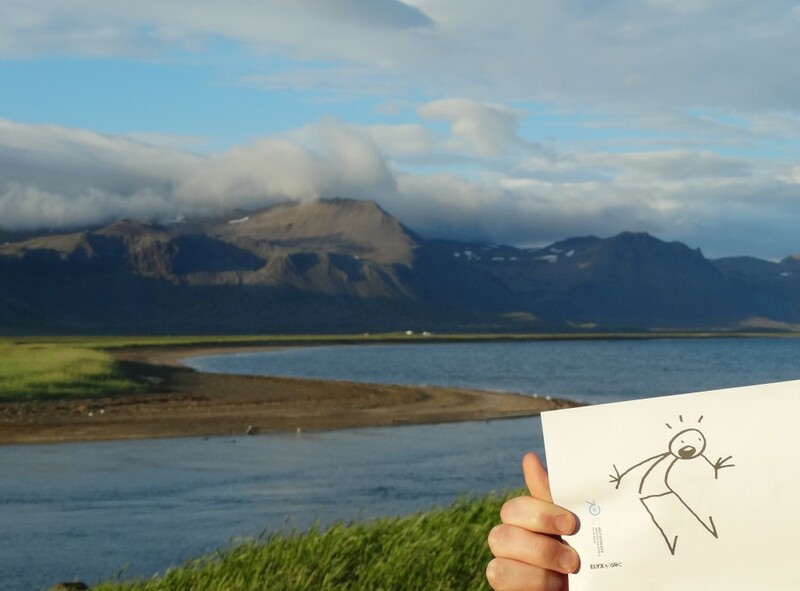 Elyx can't believe how much geothermal energy lies beneath the breathtaking landscapes in Iceland (Photo Credit: United Nations/UNRIC Brussels). A visit to volcanoes is a must do in Iceland! Next, Elyx heads to the active volcanic area, which includes the Þingvellir National Park, just 49 km east of Reykjavík which is the country’s capital. The park, a UNESCO world heritage site since 2004, is located in a rift valley and is one of the main touristic attractions of the country. Until 1798 it hosted the meetings of the Icelandic Parliament, the Althing, established in 930 AD, and where it convened to set laws and settle disputes. Elyx, tired and happy from such a wonderful visit, decides to take a nap in the untouched landscape before getting ready for a new adventure! 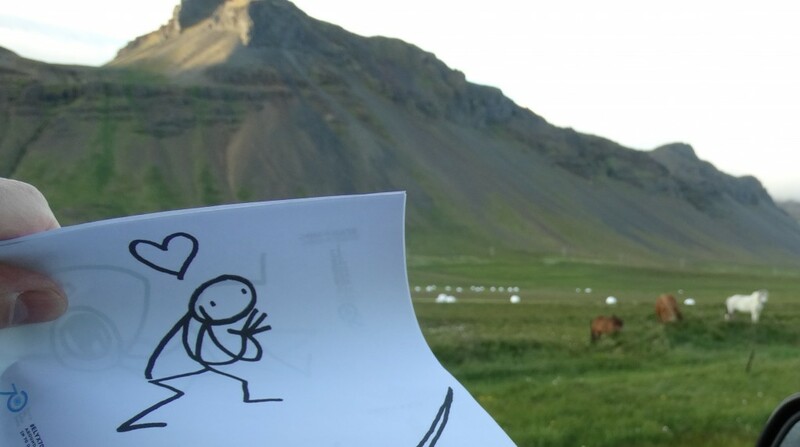 Elyx loves seeing the horses roam freely in Iceland's park-lands (Photo Credit: United Nations/UNRIC Brussels).